All tours are confirmed as "no snow tours" until there is snow on the trails. 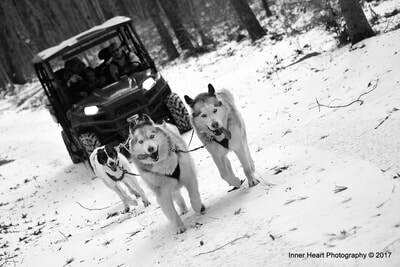 The snow sleds and Huskies need 4" to 6" of snow to operate a snow tour. All guests confirmed on "no snow tours" are automatically switched to a snow tour when we have enough snow. We advise on the status of the tours the Friday prior. 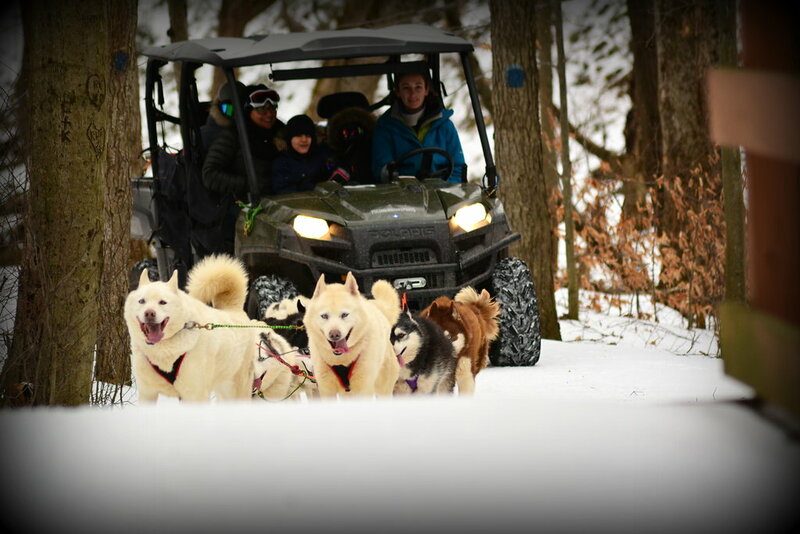 If we have snow on the trails all confirmed No Snow tour guests will receive a revised confirmation email with the new pricing for the snow tour. 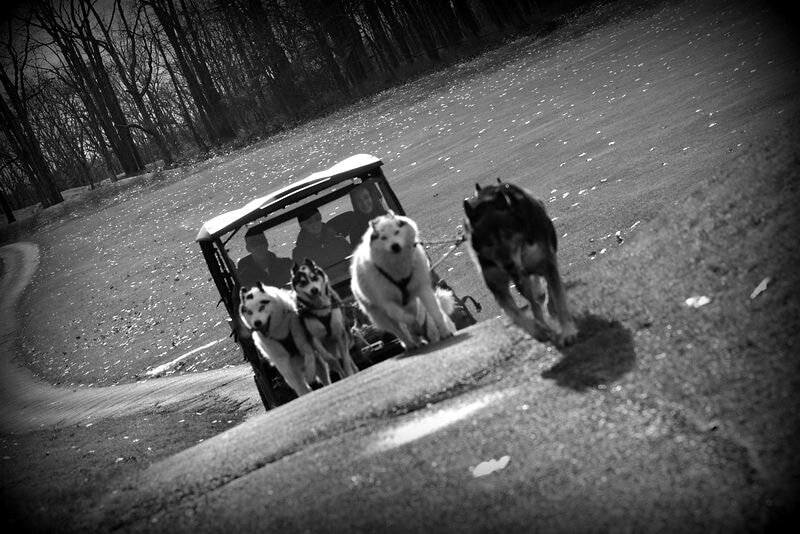 When there is no snow to dog sled the Paws Huskies will be training on the trails. 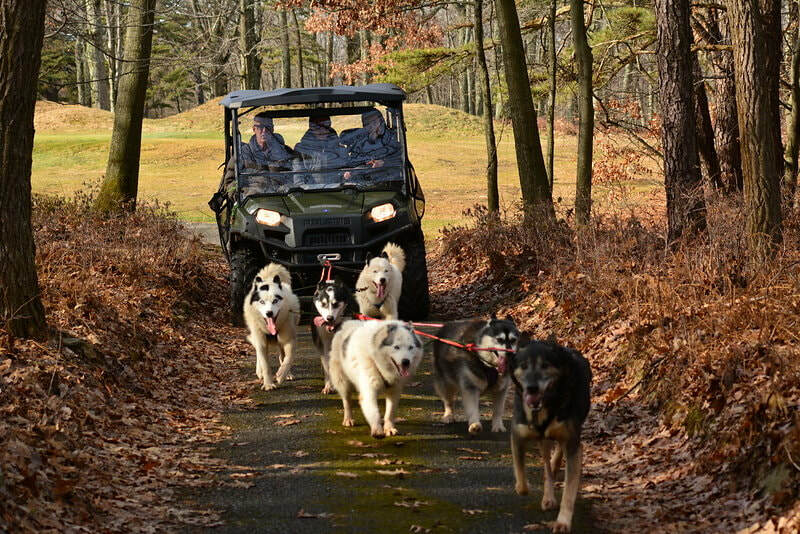 There are no snow sleds used in "no snow" tours. Please look at the photos and watch the videos. 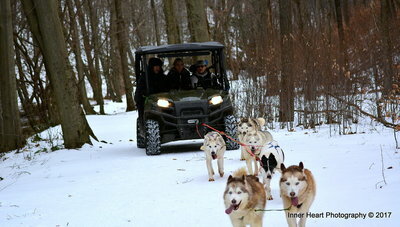 If you would like to join the huskies the cost is $50 per person with a (2) person minimum (6) person maximum per tour. 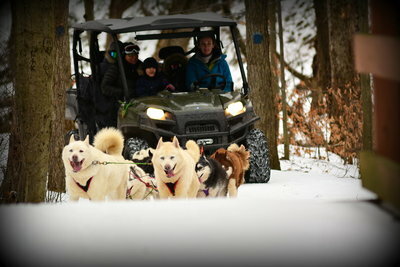 The guests must be (8) years old and older. 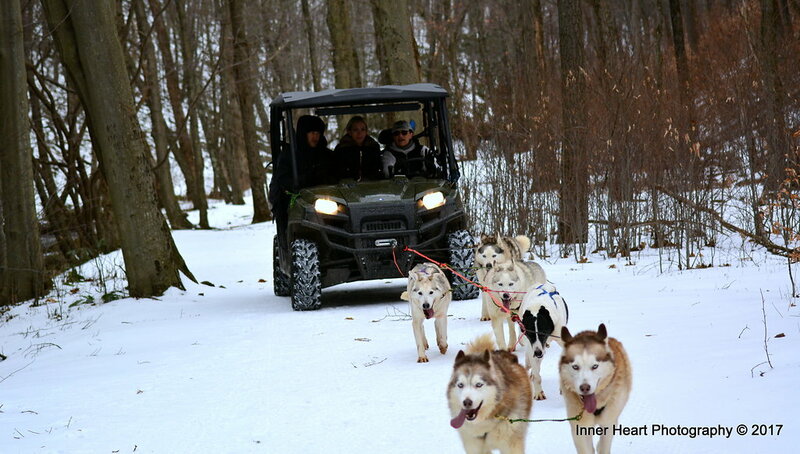 Walk up guests are welcome only if we have availability! 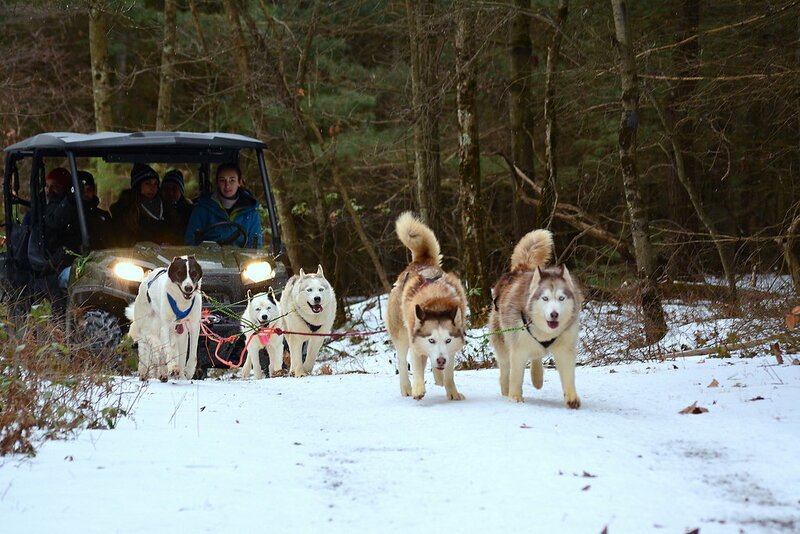 There are no sleds used for the no snow tours. Every reservations request is confirmed after a no refund deposit is paid via a PayPal invoice.